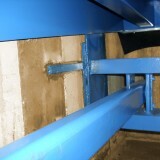 The type VBP is of unique disign and high quality steel construction. 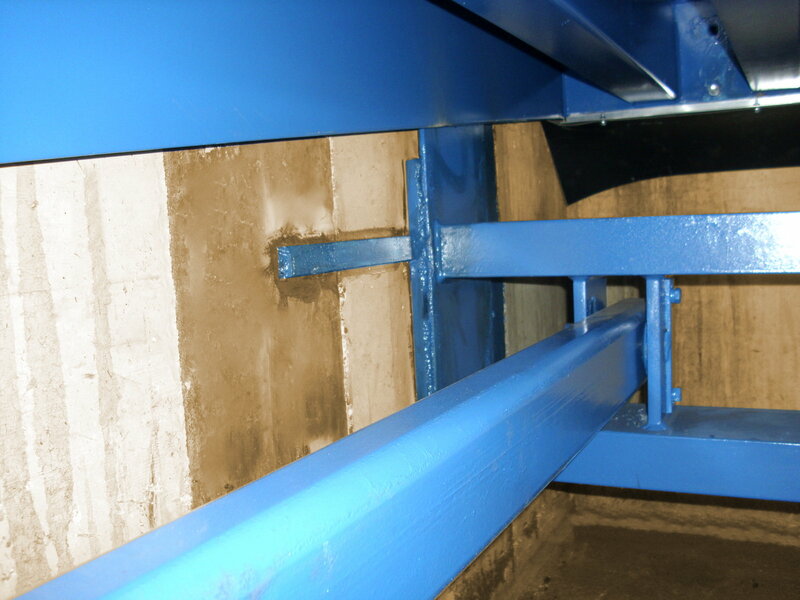 The VBP has a 500 mm telescopic lip and 1200 mm platform which stays parallel in all working positions. 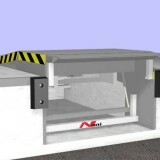 This means that the platform is hinged at a point 1200 mm back from the leading edge of the main platform. 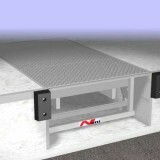 This situation gives the fork truck a level platform to work on before entering the vehicle. 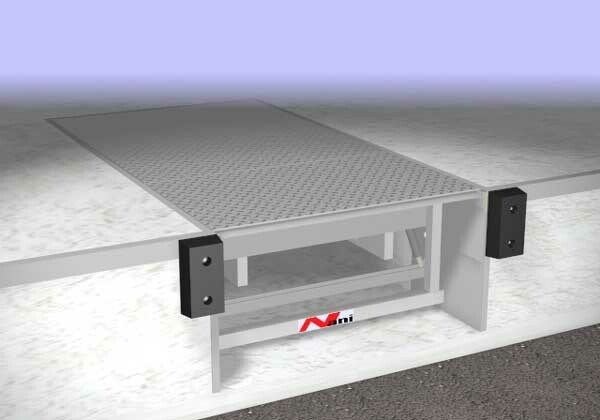 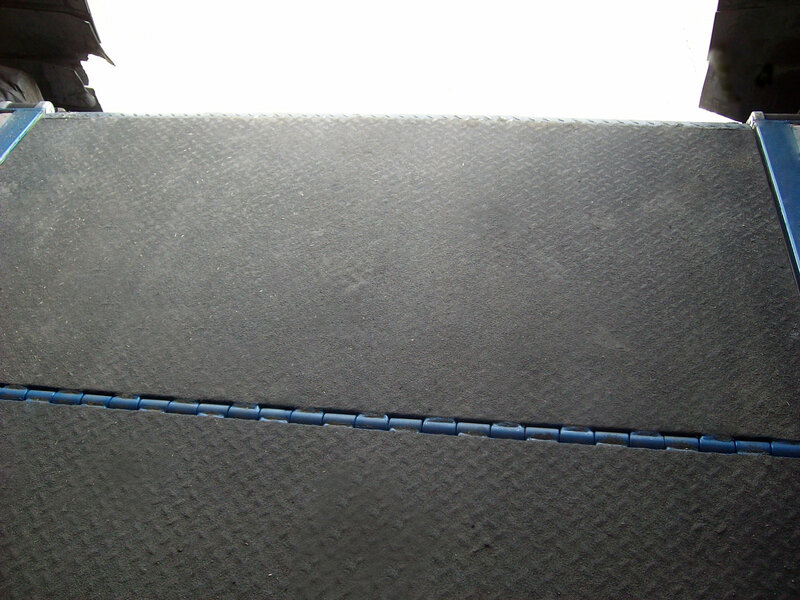 The platform when in the working position floats to suit the bed of the vehicle, also allowing for any side tilt which may occur during the loading or unloading situation. 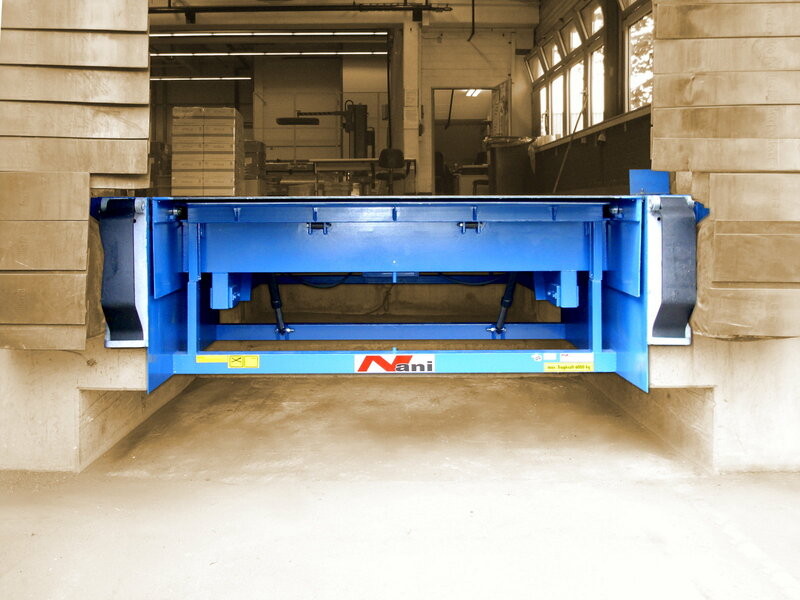 The hydraulic system is fitted with emergency stop facility for either vehicle pulling away from the dock during loading unloading, or the unlikely event of a hose break. 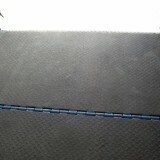 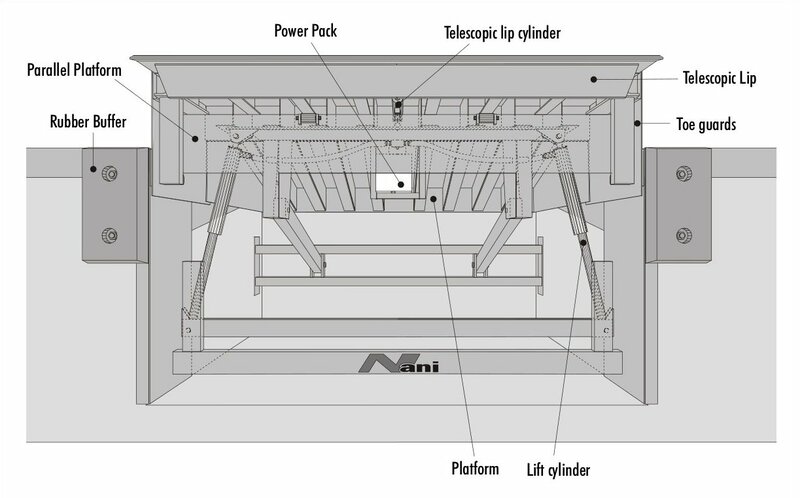 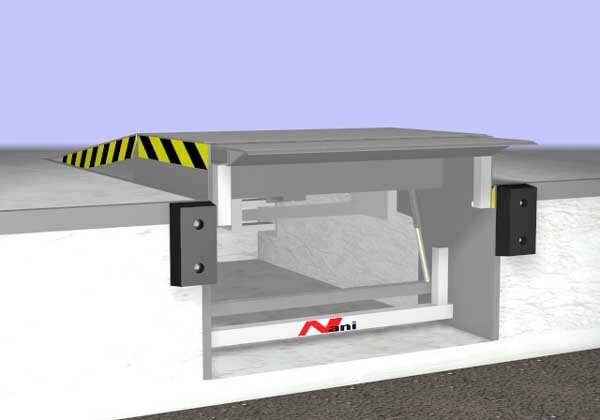 These safety features are standard on all NANI electro-hydraulic docklevellers. 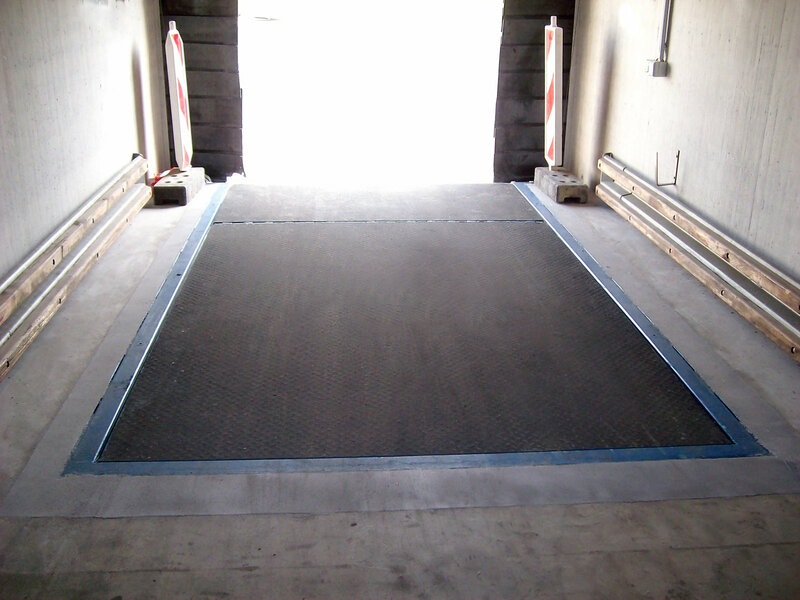 Cross traffic use can be accommodate to the full capacity of the VBP. 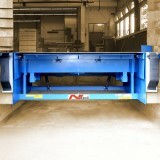 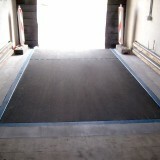 The VBP is manufactured to comply with regulations for docklevellers and loading ramps ZH 1/156 and Euro-Norm EN 1398.